The concept of the workplace is changing, in the sense that the modern enterprise’s definition of “work” has a lot more to do with collaboration than ever before. Siloed operations just can’t deliver productivity levels that collaborative work can. Organizations that have realized this need for enabling collaborative work are doing well, as are the employees that are embracing these modern work practices. Collaborative solutions are evident in every aspect of enterprise operations management applications and are supplanting traditional unified communications applications. At the forefront of enabling this movement is Windows 10 workplace collaboration features. New-age workflow enablement and collaborative work-based applications make use of data-rich enterprise environments and systems, and also take inputs from team members to create value-adding work experiences for teams. Whereas five years back, such tools were linear at best, and hence rife with capability constraints, their modern versions are based on mesh environments, which make them powerful enough to manage the complexities of the modern workplace. Microsoft has been at the forefront of enabling enterprises to experience supernormal efficiency and productivity improvements. Microsoft Teams, for instance, along with Box, and Dropbox, can be used in an environment to enable workflows that enable employees to perform complex tasks quicker and more accurately than ever. Today, enterprise workflows comprise elements from social, mobile, analytics, and the cloud. Solution vendors, hence, need to refine their products to be able to deliver the cumulative advantages of these platforms for workplace productivity and collaboration. Microsoft’s Windows 10 collaboration features, thankfully, succeed in integrating a wide range of tools, paving the way for businesses to achieve increased efficiency, heightened creativity, and greater productivity. These teams are not led by any jerks like Kreese in the original “Karate Kid” — people like that do not help teams, they destroy them. 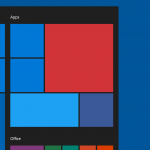 Let’s take a look at the basic design ideology of Windows 10 and how it’s aimed at creating highly collaborative workplace environments in all kinds of businesses. A recent research study published by Forrester showcased how mobile device users of Windows 10 estimated that they could use 25 percent of previously unavailable time to get important work done. Because Microsoft Windows 10 is designed to integrate the power of the cloud, cross-platform compatibility, integrated apps, and desktop modernization, this hardly comes as a surprise. Crowd-sourced innovation: With the ease of shared access to resources and speedy feedback mechanisms, enterprises can enable brainstorming and testing on ideas with a stern focus on high-value work, using Windows 10 and its built-in apps. Social enterprise: Windows 10 is made to make sure that teams can stop working in silos, and it does so with its “social enterprise” design philosophy, delivering social tools that help employees engage in meaningful manners. You can see this in the movie “Lone Survivor,” where those Special Forces work with each other to accomplish tasks. Too bad they did not have better communication gear! And too bad they allowed those goat herders to take off! Individual productivity boosts: Apart from team productivity improvement, Windows 10 workplace collaboration features drive individual productivity up as well. It does so by offering tools for one-time or time-sensitive projects, such as Microsoft Teams. At its core, Windows 10 is all about ensuring that users are able to have uniform access to all enterprise resources so that they can work in an openly collaborative work environment. Windows 10 brings together the combined power of several Microsoft cloud-based platforms, making enterprise workspace collaboration easier, intuitive, holistic, and scalable. Windows 10 has been designed to work perfectly with Microsoft Office 365, the cloud-based suite of MS Office productivity and document management software. Plus, there’s OneDrive for Business, which takes care of all data storage and document-sharing requirements of your company. The coming together of these apps, with an underlying OS that’s specifically designed to make these apps work in tandem, ensures that employees are able to collaborate on work in real time. For instance, teams can work on shared documents with zero version management issues. 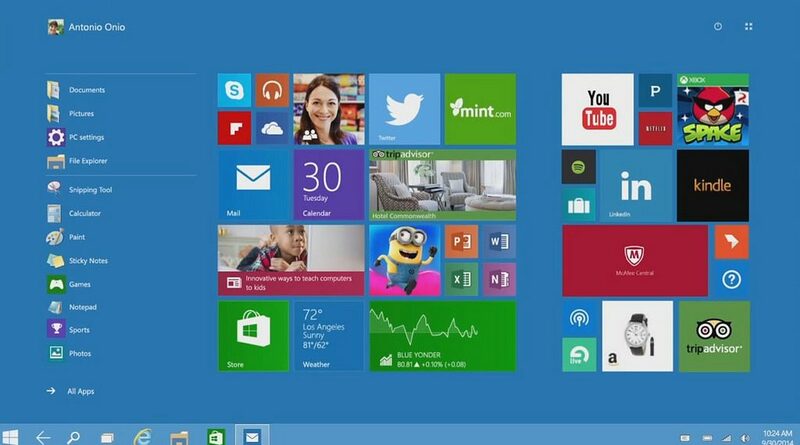 It would be a big mistake on your part to view Windows 10 as the next upgrade for Windows 7. Microsoft has made Windows 10 the enterprise’s gateway to the cloud, and with an abundance of Windows 10 workplace collaboration tools, the one OS that businesses need to significantly improve collaborative work practices in the office. To begin with, Windows 10 offers Microsoft Edge web browser. One of the useful functionalities it offers is annotation of web pages with notes and drawings, using a stylus that can be used with Microsoft Surface. This can be done using a normal keyboard and mouse, too. To enhance productivity, Edge lets users “set aside” certain tabs so that their workspace becomes decluttered. Web pages can be viewed in simplified reading mode. Then, there’s a “hub” functionality that collects users’ reading lists and frequently visited websites in a single tab. And even better, Edge has recently been released in versions for Android and iOS, ready to work in conjugation with Microsoft Cortana voice-activated assistant. We mentioned the Surface Stylus; it powers the Windows Ink Workspace platform as well. This makes collaboration simpler than ever, as users get access to tools that help them create sketches and drawings. Plus, they can add sticky notes and annotations to documents. CollaBoard and similar apps make sure that enterprises are able to leverage Ink platform to create shared online spaces. Then, there’s Universal Windows Platform, developed to blur the boundaries between desktop and mobile device user experiences. Programmers can develop apps using one API, irrespective of the platform the app is supposed to run on. This makes Windows 10 a godsend for enterprise programmers tasked with the responsibility of creating mission-critical apps for desktops and mobile devices alike. Collaborative work is the one force that can move mountains for enterprises. With dozens of mission-critical applications and dozens of digital assets, enterprises can only enjoy the fruits of true collaboration when they have an underlying platform that’s dedicated to ensuring this gorgeous outcome. Microsoft Windows 10 is that platform. and Windows 10 workplace collaboration tools will help you reap the rewards.